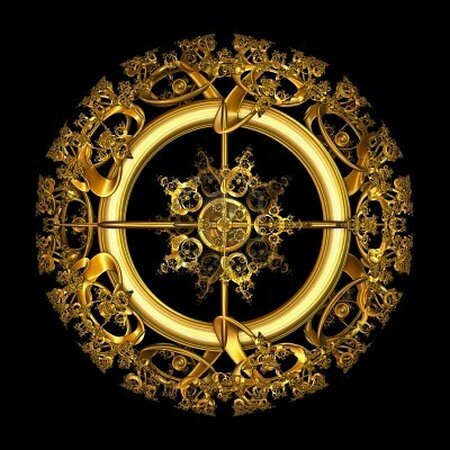 Filigree is a elegant piece of jewellery metalwork made with twisted threads (gold and silver usually) or combining of the same curving motifs. 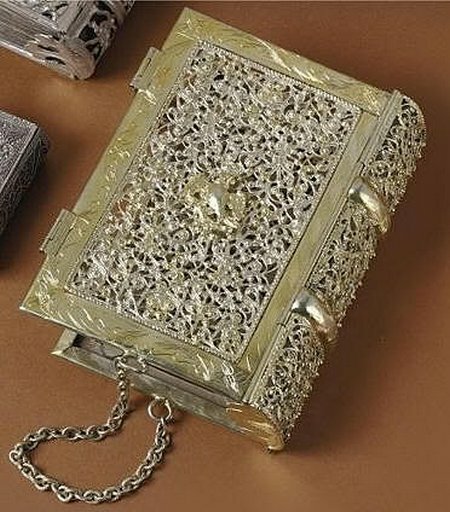 It looks like the lace made of metal, and in recent centuries remains popular in Indian and other Asian metalwork, and French from 17th to the late 19th century. 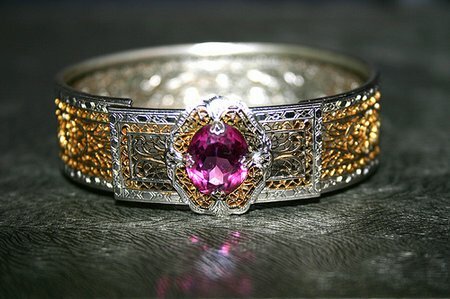 It should not be confused with ajoure jewellery work; filigree is made of threads being soldered together to form an object and ajoure involves holes being punched, drilled, or cut through an existing piece of metal. 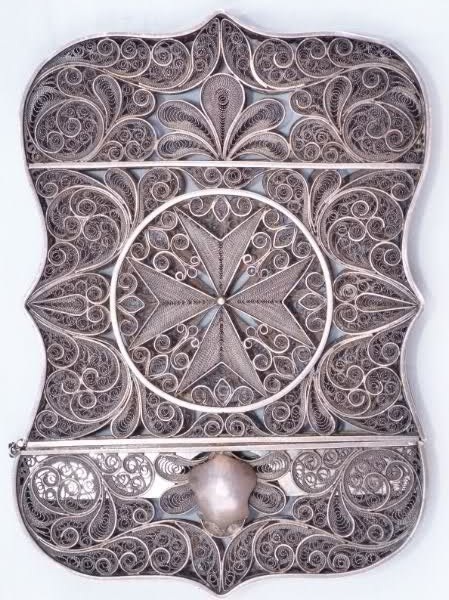 The word filigree, often thought derived from the Latin filum, thread, and granum, grain, is not found in Du Cange, and is indeed of modern origin. It may derives from the Spanish filigrana, from “filar”, to spin, and grano, the grain or principal fibre of the material. By extension, it may be used in a number of contexts to describe anything considered delicate, complex and sophisticated. 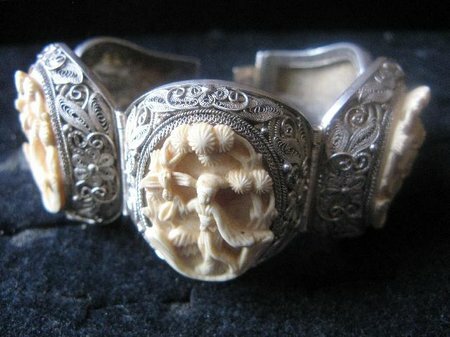 The filigree is a special branch of jewellery in modern times, it was historically part of the ordinary work of the jeweler. A. Castellani states, in his “Memoir on the Jewellery of the Ancients” (1861), that all the jewelry of the Etruscans and Greeks was made by soldering together and so building up the gold rather than by chiselling or engraving the material. The art may be said to consist in curling, twisting and plaiting fine threads of metal, and uniting them at their points of contact with each other, and with the ground, by means of gold or silver solder and borax, by the help of the blowpipe. Small grains or beads of the same metals are often set in the eyes of volutes, on the junctions, or at intervals at which they will set off the wire-work effectively. The more delicate work is generally protected by framework of stouter wire. For examples of antique work the student should examine the gold ornament rooms of the British Museum, the Louvre and the collection in the Victoria and Albert Museum. 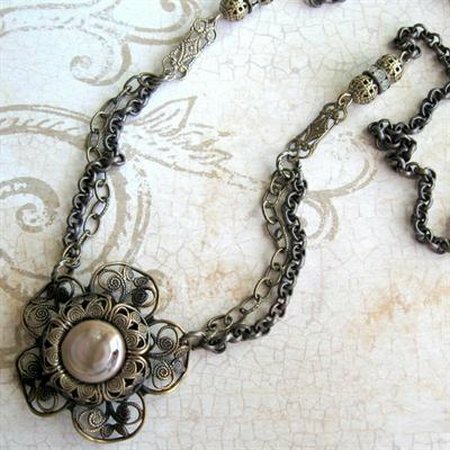 The last contains a large and very varied assortment of modern Italian, Spanish, Greek and other jewelry made for the peasants of various countries. It also possesses interesting examples of 19th century work in granulated gold by Castellani and Giuliano. Celtic work is well represented in the museums in Dublin and London.